Fake news has been in the “real” news a lot as of late, so it seems to be an appropriate topic for me to cover, especially since it has become a more prominent problem due to the mainstream distribution of technology. In today’s world, everyone and their cat can and has uploaded videos, images, and articles onto the internet. You no longer need to be a journalist employed by a paper or TV/radio station to get your voice heard. 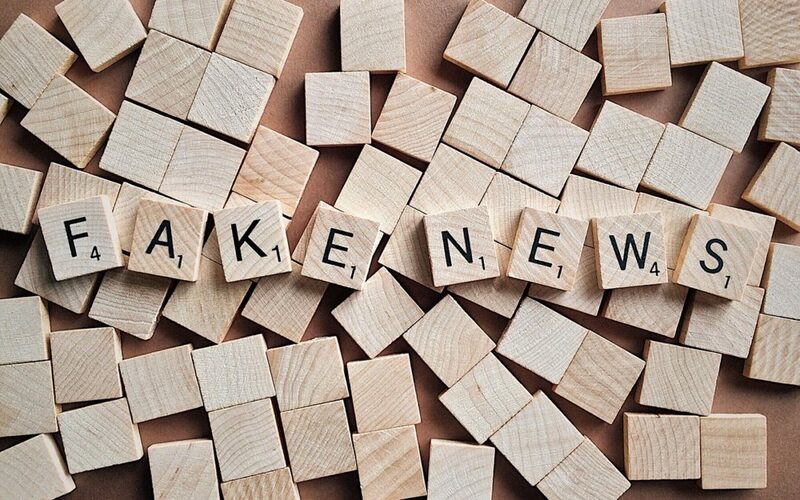 Fake news has surely been a problem ever since humans started spreading information among themselves, but it may have never been quite as widespread as it is now. Some sites have moved on from all that boring fact-checking and reporting nonsense because that’s just too much work. It’s much easier just to create “news” yourself and reap the rewards. The rewards, of course, being money from ad revenue generated through article and site visits. People share interesting things by nature; chances are you’d rather tell your friend where you saw their ex last night than how your herb garden is doing. Fake news feeds off this desire and creates headlines that grab your attention, and give you the urge to click on their article and share it with your friends on Facebook, Twitter, or maybe even email it to someone if that’s something people still do. Often times the articles themselves are not substantive in any way, (they’re fake after all) but that doesn’t matter as long as the headline is juicy enough and earns the creators revenue. With all of that being said, how do we combat this influx of fake news? Like it or hate it, a lot of people get their news off of Facebook, and with over 1.8 billion active monthly users, this trend is unlikely to stop anytime soon. Now we’ve all been there: you’re casually browsing Facebook after a long day, liking the endless supply of baby pictures, engagement announcements, and humble bragging while you’re suddenly hit with a wild article that was shared by that family relative you never really talk to but feel like you can’t quite unfriend just yet. You know it’s fake (unless Trump and Clinton really did form a secret alliance to control the election) but you decided to move on and let your friend live their life, as you do yours. Or there is another scenario, where you are the one who unknowingly shared the fake article, and has now formed or changed an opinion based on something that never happened. Even though I’m making light of these scenarios, they really do happen and they put a lot of pressure on Facebook to take responsibility as a platform that’s frequently used for the spreading of fake news. The Associated Press and Snopes.com are also partners Facebook has announced in their fight against fake news, which was not mentioned in the CNN video linked above. As the video discussed, there are groups of people concerned with possible censorship of news that those affiliated with flagging these fake news stories are not politically aligned with, and therefore will flag stories because of that, and not because of the story is fake. Now is that a real possibility? Of course, it is. This is a very new system Facebook is testing out and unfortunately, very few organizations are truly politically independent, so this will not be perfect. I am hopeful that this system will work though, but regardless of your political views, I encourage you to gather news from multiple different sources, and not just one. When I was going through graduate school the number one thing that was hammered into our minds was checking our sources. I personally try to make sure that all of the news I read is from a reputable source, and I hope you do too. If you see a headline or article that sounds out of the ordinary or a little too “tabloid-esque”, look at the source the article is citing, which can usually be found in fine print at the bottom of the article in question. If you don’t find one, I would Google that story and try to find some other sources on it before making a judgment or accepting it as fact. If you cannot find anything about it still, you may have found yourself some fake news. If there is one thing you take away from this, please let it be that you check the source of the information you’re reading before sharing it with your friends, family, and the world.